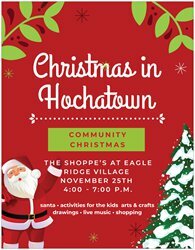 Christmas in Hochatown, Oklahoma will be on November 25 from 4:00 until 7:00 pm at the Shoppes at Eagle Ridge Village. 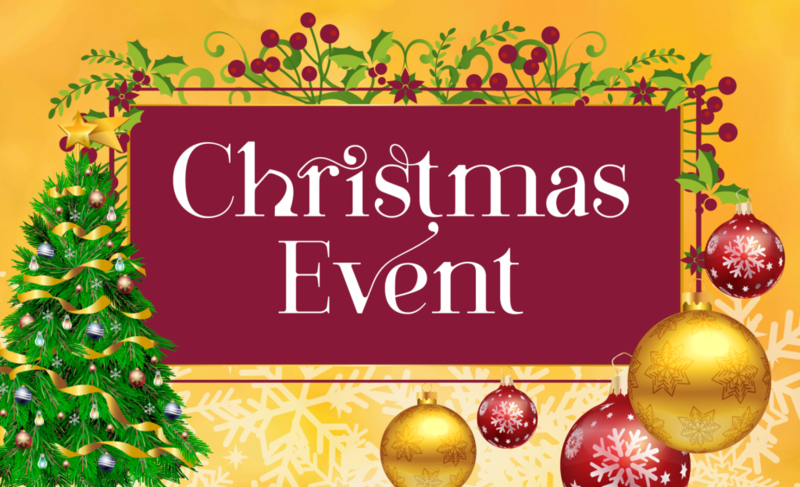 Activities will include a tree lighting ceremony, live music, DJ, prize giveaways. arts and craft vendors as well as events for the kids. Organizers are looking for donations of decorations and volunteers to help set up. T-shirts will be available for sale and yes, Santa will be there.